No more zombie fighting for you, Brad Pitt. At least for a while. Any dreams we had of a big budget David Fincher zombie movie are now probably as dead as a zombie, too. The Playlist is reporting that the planned World War Z sequel directed by David Fincher and starring Brad Pitt has been killed by Paramount Pictures. We did some digging and found out that pre-production on the film has, indeed, stopped. And while that’s not a good thing, it doesn’t necessarily mean it’s 100 percent “dead.” On the other hand, it could mean just that—and considering the film’s history, it’s certainly the most likely bet. Various iterations of the sequel had been in development since soon after the release of the surprise 2013 hit, which was directed by Marc Forster. J.A. Bayona was originally attached but left the project due to its rapidly approaching 2017 release date. That was back in 2016, and reportedly around that time, Pitt began fighting hard to get Fincher, his Fight Club and Benjamin Button collaborator, on board. Which, eventually, he did. Development continued, the script was worked on, release dates shifted, and the rumor was production was ramping up for production later this year. It seems now, though, just as the final stamps of approval had to be set, the film was shut down. Variety reports the main reason for the stoppage was a budget issue, and though the Playlist suggested the proposed budget was under the $190 million of the first film, Collider says it was in fact over. If that’s true, you can understand a company being cautious about spending $200 million on an R-rated sequel to a movie that could be eight years old when it came out. Another educated, but unconfirmed, guess would be that the script simply wasn’t what it needed to be. That’s almost always the reason why a movie fans hear about never ends up making it to the big screen. It’s just not ready or good enough. And if a company is going to spend hundreds of millions of dollars making and then promoting a movie, it wants to know it has a strong base. If the script was really good, chances are it would happen. But could World War Z 2 still happen? At some point, maybe. However, it seems like any chance of David Fincher directing is all but done. And it’s certainly not going to film this year. 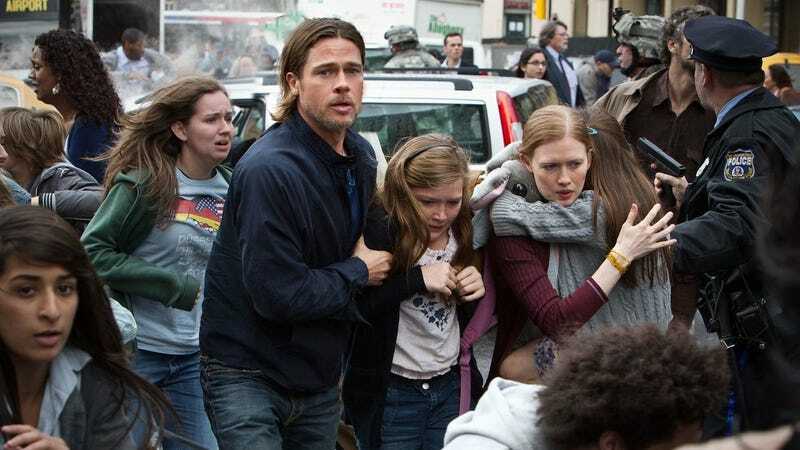 The World War Z Movie Sequel Will Start With A "Clean Slate"